Alie Sockol knows good brunch. 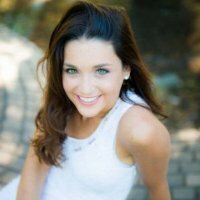 The Needham native returned to Boston post-college and, after a move from Fenway to Back Bay, discovered a dearth of brunch coverage. “I never knew where to go – it felt like all the other resources always picked the same maybe 10 places that they were always writing about.” The quest for consistently delicious weekend dining led Sockol to craft a set of criteria and an Instagram account – Brunches of Boston – to document her outings. Soon enough, diners were demanding more brunch. 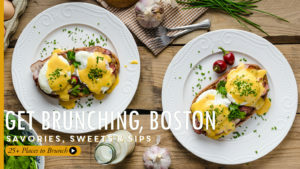 “Finally, I was like, there’s obviously a need for this in Boston and I’m the person to do it.” Brunches International was born with the plan to bring it to every city in the country, starting with Boston. “I never imagined in my wildest dreams that I would have an entire business based around brunch,” says Sockol of the editorial site and events company. Here, she delves into make-or-break brunch criteria and answers the big brunch questions (like Bloody versus bottomless mimosa). How would you sum up the Brunches of Boston mission? Our overall mission statement is to create brunch community and culture within the city of Boston. As part of doing that we’re trying to make it really easy for people to find where they want to go to brunch based off whatever criteria is most important to them. We’re also trying to make it easy for people to find fun, brunch-related events to get them out and trying new places. How do you rate a brunch? So there are six criteria that I use and all of my writers go through a Brunches of Boston training process. It’s not necessarily in any order but the things that are always considered are the atmosphere, the breadth of the menu (how many options), the food quality, the food taste, the portion size and the price. Each of those six criteria we rate 1 through 5, then, take the average rounded to the half point. What’s your favorite brunch neighborhood? Central Square. I hate to say it because I live in Boston but Cambridge is really where it’s at. I feel like every time I come to Cambridge for brunch, I’m blown away. What would make or break a brunch for you? I’m a really big home fries person. I think that home fries are really telling of how the brunch is going to be. Firstly, if someone brings me a meal without home fries (with the exception of pancakes), I’m really not thrilled. If the home fries are soggy, if they’re not hot, if they’re super bland – deal breaker. Obviously food quality – but all other things being equal, I go by the home fries. 9 times out of 10 I go savory. I’m huge into eggs. I love things like scrambles, anything with lobster in it. My favorite if there’s a big mush on a plate of like eggs and veggies and sausage and cheese and potatoes, that’s my jam. If you had to choose, bottomless mimosa or DIY Bloody Mary bar? Oh definitely Bloody Mary bar. 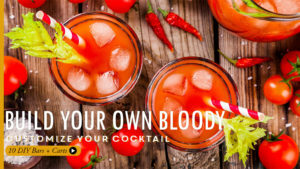 I’m currently working on mastering the Bloody Mary bar, for my personal enjoyment, to add that skill set to my tool belt. I love mimosas too but I just think Bloody Marys are so fun because you can add so many different things and really customize them and make them crazy. What can Boston brunch-lovers look forward to? Brunch Fit is a signature event we do every weekend. It’s a fitness studio paired with a local restaurant, typically within walking distance. We do a fitness class followed by brunch. We always use different studios and different restaurants to bring people into new spaces and let people try new things. Every fourth Monday we do what we call Mimosa Mondays. In October, we are doing a really special event in partnership with the Mandarin Oriental’s Bar Boulud and the Tony-award winning show An American Paris. Plus, a special September event is in the works, so keep your eyes peeled for details.